Nile Rodgers shared the music video for "Sober" off of CHIC's recently released ninth studio album It's About Time on Wednesday. Watch it above. The video begins with Rodgers at the famous Abbey Road studios in London, attempting to breakdown the science behind funk and disco. 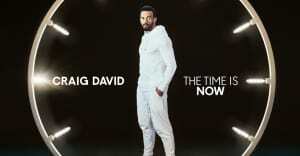 The clip then quickly transitions to a lively dance party which features an appearance from Craig David — who also helps deliver the song's hook and adds a verse. Rodgers released Its About Time last month. The album is the first full-length released by the band in over 26 years, and features appearances from Lady Gaga, Elton John, as well as production from Mura Masa, and songs written by late CHIC bassist and producer Bernard Edwards.